You are at:Home»events»Keynote on Introduction to Learning Analytics still highly needed! 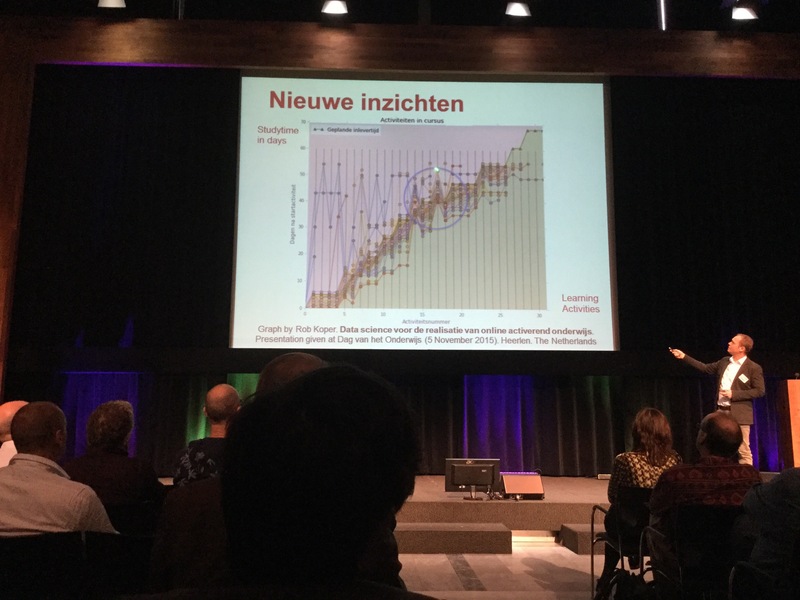 I have been asked to give an introductory keynote to Learning Analytics at the Dutch Onderwijsdagen (Teaching days). The Onderwijsdagem are a huge conference that attracts over 700 people every year, it is comparable to BETT in the UK, or OnlineEduca in Germany. It attracts especially teachers, companies and managers of K12 schools, HEI teaching orgnisations that spend less time on research. I first was wondering if there is still an introduction to Learning Analytics needed but that was the typical misinterpretation when you talk LA all day long. You believe the core concepts are already common sense but in fact they are not, or only for a rather small group of people. So I was very pleased to get the opportunity to catch up on the Learning Analytics Framework article that is now already 3 years. It proved to be well suited for an introduction on Learning Analytic according to Google Scholar and direct contacts. It was a great exercise to update the slides with the latest developments of the last 3 years of research. In fact we could write an follow up article on the LA Framework, not because the content is no longer valid but there are very well suited examples out now.